Camping cots provide a more comfortable camping experience: no more sleeping on twigs, rocks and hard, bumpy ground. To help you choose the best cot for your needs, our team did extensive research on all the available choices. We looked at padded, toddler and tent camping cots, as well as the best overall and the best value. Each camping cot in our list includes its top features, specifications and other considerations. And be sure to check out our buying guide below for key considerations and a price breakdown to help you decide which camping cot is best for you. Read more about our methodology. The Teton Sports Outfitter XXL Camping Cot supports up to 600 pounds and is wider and longer than many cots on the market. The specially designed steel frame ensures the cot will remain stable. These and other features make this Teton camping cot our top pick and a great choice for most campers. The Forfar Camping Cot is a sturdy cot constructed with a strong aluminum alloy frame and a PVC-coated Oxford cloth bed. No assembly is required for a quick set up and take down. These features and more make the Forfar Camping Cot another ReviewLab top pick. The Magshion Camping Cot is a great choice for the budget-minded shopper. Such features as a 72” length, 300 pound weight capacity and easy setup and take down make this ReviewLab’s best value camping cot. For a lightweight, compact camping cot that won’t break the bank, the Mountain Trails Base Camp Cot is a great choice. The frame is constructed with stainless steel and powder coated for durability and weather resistance. And the length of 74.8” and capacity of 225 pounds will provide a comfortable night’s sleep for most campers. With the Coleman Comfortsmart Deluxe Cot, you’ll almost believe your home in your own bed. This cot has a coil suspension system and a thick foam pad while still folding into a convenient storage size. All this and more is why ReviewLab chose the Coleman Comfortsmart Deluxe Cot as the best padded camping cot. The Coleman Airbed Cot is almost like your bed away from home with its air mattress, side table with cup holder, and large size. These features and more make the Coleman Airbed Cot another great choice if you’re looking for a padded camping cot. The Regalo My Cot Portable Toddler Bed is a camping cot both kids and parents will love. Features such as a sturdy steel frame, extra stitching on the bed and an included fitted sheet make the Regalo Toddler Bed a great choice for not only comfort, but also safety. The Kamp-Rite Tent Cot gives you the comfort of sleeping in a tent and on a cot in one easy-to-setup unit. This tent cot includes features such as an oversized cot, mesh windows and an insulating pad that make this a great choice for a durable, comfortable tent cot. Comfort. If you’re looking at buying a camping cot, comfort is probably your number one concern. Camping cots come in a variety of styles, so you should consider the level of comfort you’re seeking. Standard cots are not padded, but they can be comfortable when using a sleeping bag or other bedding, and you can always add some type of pad. Certain camping cots come with padding made of foam, or they may include an airbed. Material and construction. Another aspect to consider is the material and construction of the frame and the bed. A strong, stiff and structurally sound frame won’t wobble or possibly bend. And you’ll want to find a cot made with durable material that won’t sag or rip. Size. Camping cots come in a variety of sizes. Cots for adults are typically 75” to 80” long and will support a weight of up to 300 pounds. There are also extra-large cots that are longer and wider and can support up to 600 pounds. If you take young children on your camping trips, toddler-size camping cots are available. These are mini versions of adult cots and may include a pad, a sheet and a carrying case or bag. Toddler camping cots are typically 48” to 60” long and support weight of 75 to 200 pounds. Portability. Most camping cots fold up for easy packing with your other camping gear and for storage. Some cots come with a carrying bag or case, which can be more convenient for loading and unloading. You also might want to consider the weight of the cot if heavier lifting is a concern to you. There are lots of choices for standard non-padded cots in the $25 to $50 range that are of good quality, including those from well-known, respected manufacturers. For over $50, you’ll find padded and oversized cots, and those made with higher-quality materials. 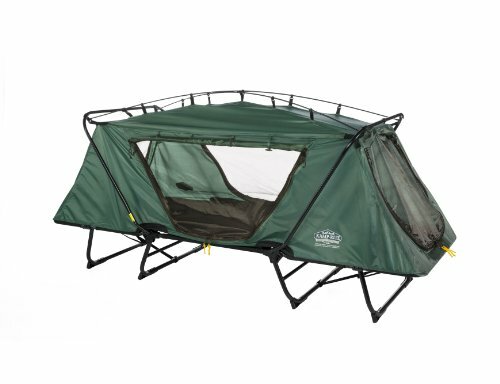 The Teton Sports Outfitter XXL Camping Cot has some excellent features that make this a great choice for campers seeking a comfortable night’s sleep. This cot holds up to 600 pounds, and the size is larger than a twin mattress. 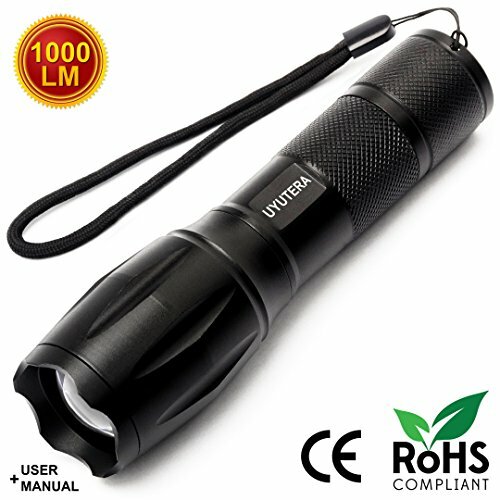 The patented steel frame design ensures stable and strong support for the high weight capacity. The cot folds up to a convenient size to stow with your other camping gear. All this plus a limited lifetime warranty make the Teton Sports Outfitter XXL our top pick in camping cots. Sturdy, patented frame design. The Teton Sports Outfitter XXL Camping Cot has a patented steel s-leg design that provides a solid, sturdy frame, ensuring the cot remains stable and wobble-free. Extra- large size. This camping cot is larger than a twin-size bed, measuring 85” long x 40” wide. At 19” high, you’ll be able to store gear underneath the cot. Many users comment on how the large size provides a good night’s sleep, especially, because of the long length, their head and feet don’t hit the metal frame. This cot can be used not only for camping, but as an extra guest bed. Portability. The Teton Sports Outfitter XXL Camping Cot can be easily set up or taken down in two to three minutes. Teton provides a video to show how this is done. The cot folds up to 42” long x 12” wide x 7” thick and comes with a canvas storage bag. The folded weight of the camping cot is 26 pounds. Limited lifetime warranty. Teton provides a limited lifetime warranty to the original owner against defects in materials or workmanship. Storage bag has drawstring at one end. A few users comment that the drawstring doesn’t keep out all dust. The Forfar Camping Cot is a great choice that provides a comfortable night’s sleep for campers up to 260 pounds. This cot is constructed with a strong aluminum alloy frame and a PVC-coated Oxford cloth bed. With no assembly required, setting up and taking down the cot is a breeze. It comes with a storage bag and when folded, the cot weighs approximately 19 pounds. 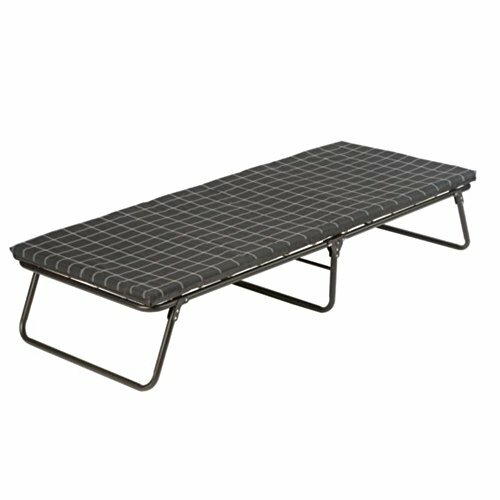 After researching dozens of camping cots, the Forfar cot stood out as another ReviewLab top pick. Strong frame design. The Forfar Camping Cot frame is constructed with strong aluminum alloy with a durable baked-on coating. The cot itself is made from PVC-coated Oxford cloth, a tough material that helps prevent sagging. This cot supports up to 260 pounds. Several users say the cot feels solid and well built. Comfortable design. Instead of a bar across the middle of the bed, this camping cot has a fabric strap that provides support without digging into your back. Portability. With the Forfar Camping Cot, no assembly is required, so setting up or taking down the cot is a breeze. When folded, the cot measures 36” x 7” x 7” and weighs approximately 19 pounds. A storage bag is included with your purchase. May not be wide enough. A few users say they wish the cot, which is 25.6” wide, was wider, but still comment that it’s comfortable. Length. The length of this camping cot is 71”, which may be uncomfortable for someone six feet (72”) or taller. The Magshion Camping Cot not only has a bargain price, but includes features that make this camping cot a great choice for most campers looking for a good night’s sleep. The length is 72”, long enough for people six feet or less. The steel frame and Oxford cloth bed provide a sturdy base for the weight capacity of 300 pounds. 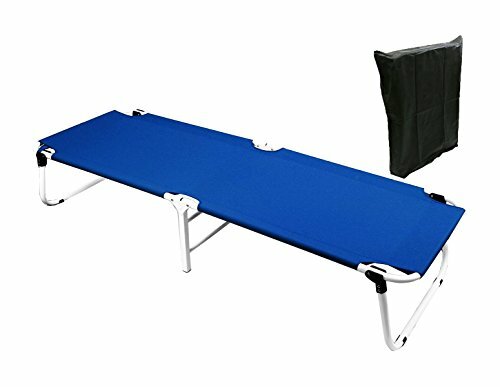 This camping cot comes assembled and you simply unfold it to use. For easy storage, fold the cot back up and store in the included bag. Durable material. The Magshion Camping Cot frame is constructed with steel, ensuring a strong, sturdy base. The cot itself is made with durable Oxford cloth, which is less likely to sag over time than some other materials. Size. The Magshion Camping Cot has a weight capacity of 300 pounds, compared to many higher priced camping cots that hold a maximum of 260 pounds. And the 72” length will comfortably fit those who are six feet tall or less. Portability. This camping cot comes assembled, and to use, you simply unfold it. For storage or for travel, the cot folds up to a compact size of 36” long x 24.5” wide x 4.5” thick and weighs only eight pounds. Many users agree that this cot is very easy to fold and unfold. Height above ground. When unfolded, the Magshion Camping Cot has a height of 13.5”, lower than some other camping cots. 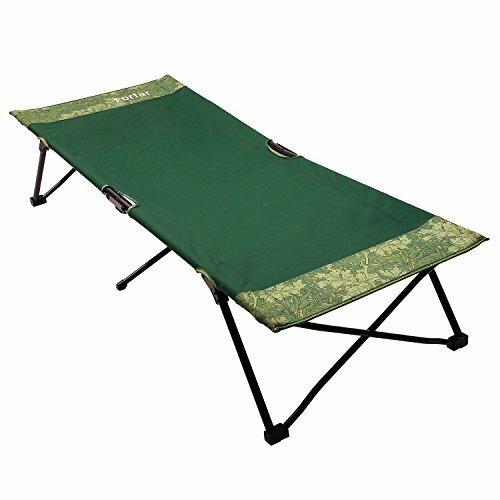 The Mountain Trails Camp Cot has lots of features that make this low-cost camping cot a great choice for the budget-minded shopper. This cot is larger than many other ones on the market, with a length of 74.8” and width of 30.3”. Combined with a weight capacity of 225 pounds, this cot will comfortably accommodate most campers. The Mountain Trails Camp Cot folds into a compact size and a carry bag is included for easy transport and storage. Comfort. 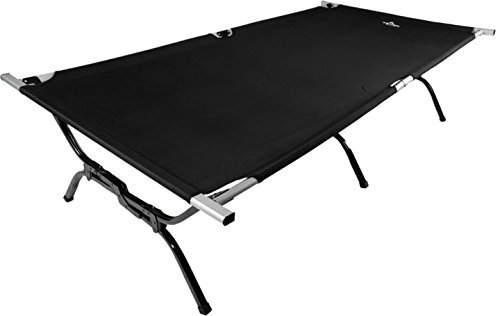 Unlike some camping cots, the Mountain Trails Camp Cot does not have crossbars that touch the center of the bed. Instead, the bars are attached to the sides of the frame and then angle downward, so the bars won’t dig into your back when you’re lying on the cot. Many reviewers comment on how comfortable this camping cot is. Size. The Mountain Trails Camp Cot is 74.8” long and 30.3” wide, larger than many higher priced camping cots on the market. The weight capacity is 225 pounds. Weather-resistant materials. The stainless steel frame with a tough powder coating will keep the cot from rusting. And the polyester bed dries quickly should the cot get wet. Portability. For easy transport and storage, the Mountain Trails Camp Cot folds into a convenient size of 32.5” long x 6.8” wide x 3” thick and a weight of 9 pounds, 13 ounces. A storage bag is included with your purchase. Height above ground. When unfolded, the Mountain Trails Camp Cot is 6.7” above the ground. Padded camping cots give you a more comfortable camping experience. Some models may have dense foam pads, while others use an air-filled pad. Padded camping cots are a great choice for those who prefer “glamping” over more rustic camping. The Coleman Comfortsmart Deluxe Cot is our top pick in padded camping cots for many good reasons. The coil suspension system and thick foam pad will give you such a comfortable night’s sleep, you might just cancel that early morning hike. The large size and weight capacity will accommodate almost any camper. With all this and more, we think you’ll agree that the Coleman Comfortsmart Deluxe Cot is an excellent padded camping cot choice. Comfort. The Coleman Comfortsmart Deluxe Cot has a spring coil suspension system that eliminates the stiffness found in many other camping cots. Attached to the springs is a tightly woven mesh bed, and a thick foam pad rests on top of the bed. All combined, these three features provide you with a comfortable night’s sleep. Size. The Coleman Comfortsmart Deluxe Cot is longer than most camping cots you’ll find, measuring 80”, or 6’8”. The width is a comfortable 30” wide and the cot is 15” high, providing space under the cot for storing gear. Weight capacity. With its durable, heavy-duty steel frame, the Coleman Comfortsmart Deluxe Cot will support up to 300 pounds. Several users who weigh between 200 to 300 pounds say they are very comfortable on this cot. No storage bag. The Coleman Comfortsmart Deluxe Cot does not come with a storage bag. The cot folds down to 39.6” long x 30.7” wide x 5.5” thick. Camping doesn’t have to mean you’re in for a bad night’s sleep, especially when you’re sleeping on the Coleman Airbed Cot. The air mattress is designed with coil rather than channel construction, providing better support and greater comfort. This cot is approximately the size of a twin bed and includes a zippered, washable cover. Also included with your purchase is a pump that runs on batteries or electrical outlet. All this and more is why the Coleman Airbed Cot is another excellent padded camping cot choice. Comfort. Rather than channel construction used in some other airbeds, this Coleman airbed has coil construction that provides better support. And the airbed fits into a zippered cover attached to the cot to keep the airbed in place. The cover can be removed for washing. The Coleman Airbed Cot also includes an attached side table with cup holder. Durable frame and airbed construction; pump included. The Coleman Airbed Cot frame is constructed with durable steel that supports up to 300 pounds. Each airbed is tested at the factory to ensure it is leak free. And the valve used to pump air into the mattress is dual sealed so air won’t escape from the mattress when the pump is removed. The pump is included with your purchase and operates either on four D-size batteries or a 120V outlet. Size. The Coleman Airbed Cot measures 74” long x 40” wide, the approximate size of a twin bed. This cot’s height is 23.5”, providing plenty of room to store your gear and cut down on clutter in your tent or campsite. Multiple uses. 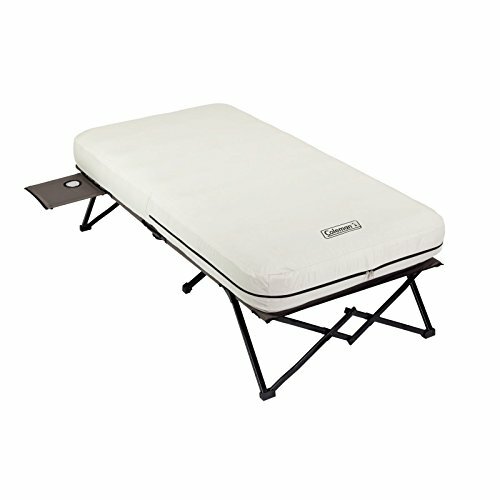 The Coleman Airbed Cot can be used for camping or as an extra bed for overnight guests. You can also remove the airbed from the cot, providing sleeping accommodations for two people. Several reviewers comment that this cot makes a great guest bed. Portability. For compact transport and storage, the frame folds up, but the airbed must be deflated. A storage bag comes with your purchase and will hold both the folded frame and the deflated, folded airbed. Camping cots for toddlers are smaller versions of standard cots. These cots typically are 48” long and hold up to 75 pounds, but some models are larger. Toddler camping cot features may include a pad, a fitted sheet and a carrying case. The Regalo My Cot Portable Toddler Bed is a great choice for your children’s comfort and for their safety. The strong steel frame holds up to active kids’ use. The bed is made from heavy-duty, waterproof nylon that is a breeze to clean with a damp cloth, and the included cotton fitted sheet is machine washable. For easy transport and storage, this cot folds up to a compact size and weighs only four pounds. A carry bag is included. All these features and more are why ReviewLab has chosen the Regalo My Cot Portable Toddler Bed as its best toddler camping cot. Durable construction; safety. The Regalo My Cot Portable Toddler Bed frame is constructed with steel and the bed is made from sturdy canvas and nylon with reinforced stitching for added safety. This camping cot is certified by the Juvenile Products Manufacturers Association (JPMA) and meets the safety standards of the American Society for Testing and Materials (ASTM). Several reviewers comment on the good quality of this cot. Sized for children. The Regalo My Cot Portable Toddler Bed is sized for children approximately two to five years old. The cot measures 48” long x 24.5” wide x 9” high and supports weight up to 75 pounds. Easy to clean. The bed on this Regalo toddler camping cot is waterproof and easy to clean with a cloth and warm, soapy water. The included cotton fitted sheet is machine washable. Portability. The Regalo My Cot Portable Toddler Bed easily folds up to a compact 24” x 6” x 6” and weighs only four pounds, making this cot easy to take camping, to the park or on overnight visits. Uncomfortable sheet. Several reviewers agree that the fitted sheet is not comfortable and wish it was softer. Camping cots enclosed in tents give you more protection from the weather while providing the comfort of sleeping on a cot rather than the ground. Tent camping cots come in single-person or two-person sizes. The Kamp-Rite Tent Cot gives you the comfort of sleeping on a camping cot combined with a tent’s protection from weather and bugs. The frame, tent and cot are all constructed with durable materials. The cot is one of the largest you’ll find in many other camping cots, yet it easily folds into a compact size for transport and storage. This tent cot can also be converted into a lounge chair. All this and more make the Kamp-Rite Tent Cot a clear winner and ReviewLab’s top tent cot choice. Durable construction. 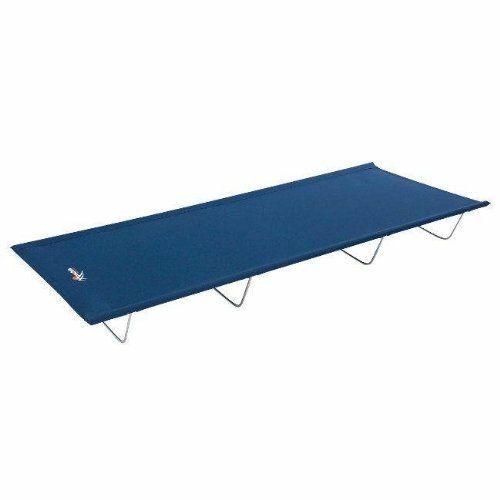 The Kamp-Rite Tent Cot top is made with heavy-duty 210D Oxford cloth, which is coated in urethane to repel water and resist rips and tears. The tent itself is made with 420-denier nylon fabric that has a dense thread count for better weather resistance. 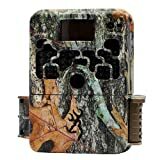 The frame is constructed with durable yet lightweight aluminum and anti-vibration rust-resistant aluminum nuts and bolts that won't loosen over time. Comfort. This Kamp-Rite cot measures 90” long x 32” wide, which comfortably sleeps almost any size person. The cot is 11” above ground and includes a 3/8 inch foam insulating pad. This tent cot is fully framed and enclosed with nylon sides and tie-up mesh doors and windows to keep out annoying insects and allow 360-degree airflow. Multiple Uses. The Kamp-Rite Tent Cot can be converted into a lounge chair. Also, you can collapse the tent cot to a flat cot should you not need the tent protection in nice weather. Portability. 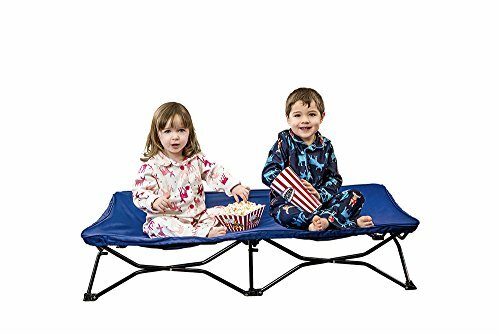 This tent cot folds down to 34” x 34” x 7” and weighs 24 pounds. A heavy-duty carrying bag is included with your purchase. Several users comment how easy this tent cot is to setup and take down. Rainfly reduces airflow. Several reviewers say that when they use the rainfly, it cuts down on air coming into the tent because it blocks the mesh windows.